The Rebel Sweetheart. : Foodie Goodie | Maja Blanca. I had a can of corn kernels sitting on top of my fridge for quite some time. I've been meaning to make some maiz con yelo out of it, but because I'm too lazy to shave ice, that idea didn't quite materialize. I found this One-Step Maja Blanca Mix at the supermarket and opted for this one instead. The only thing you need to do is dissolve the mix in water and bring it to a boil with continuous stirring. When the mixture is thick enough to cover the entire ladle, then you're done. The mixture already has tiny bits of corn kernels in it, so using that can wasn't actually necessary. 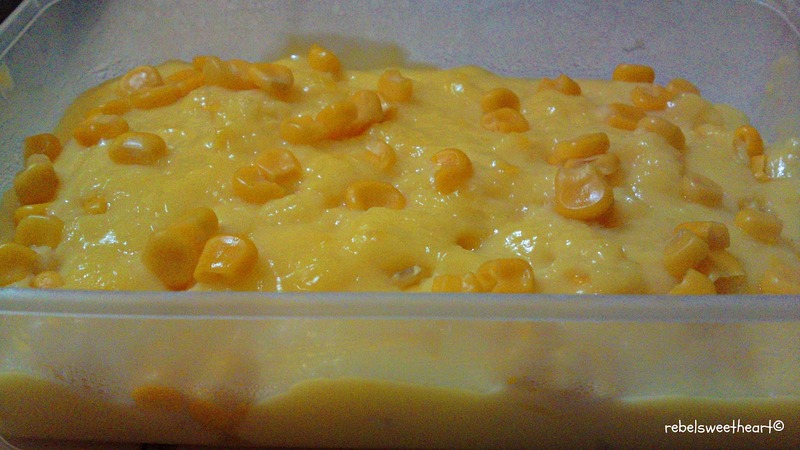 But since I like my Maja Blanca with generous heaps of corn kernel on it, I used it anyway. For something made 'instant', this Maja tasted pretty good. The little man and I devoured this pan in one sitting. Haha! Shared with Food Friday, Food Trip Friday, Yummy Sunday, Heavenly Treats Sunday, and Mellow Yellow Monday. That looks delicious. I will definitely be trying this one. Thank you. That look super yum! I'm a big corn fan. Hoping my hubby will grill some this weekend! will buy that maja blanca mix next time! Maja Blanca is my fave! My sister loves making maja blanca but we're not aware about Pillsburry one step pack. Thanks for sharing. Thanks Czjai for this, mas easy and affordable. Winner to for me since I am a working mom kailangan ng maiging time management sa work and cooking. 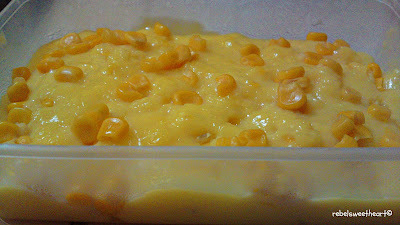 I love maja blanca and maja mais! Thanks for this post, I've been thinking about buying this box or not... I'll try this soon! Looks delicious! Have a fabulous week. It must be like a cornbread? Looks delish! 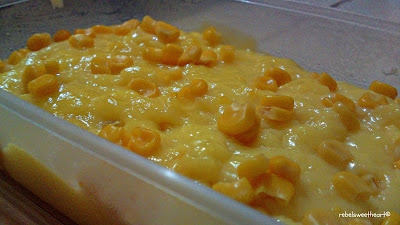 Miss ko na ang maja blanca. Looks yummy Mommy! My Yellow post, please come and see when you get a chance.